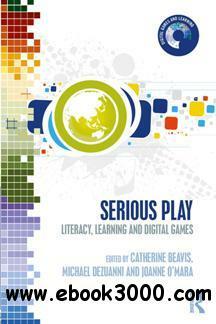 Serious Play is a comprehensive account of the possibilities and challenges of teaching and learning with digital games in primary and secondary schools. Based on an original research project, the book explores digital games' capacity to engage and challenge, present complex representations and experiences, foster collaborative and deep learning and enable curricula that connect with young people today. These exciting approaches illuminate the role of context in gameplay as well as the links between digital culture, gameplay and identity in learners' lives, and are applicable to research and practice at the leading edge of curriculum and literacy development.